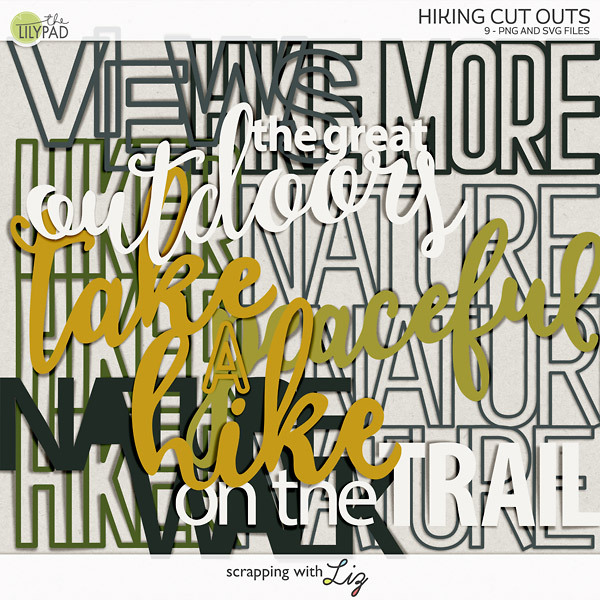 Scrapping with Liz: 50% Off One Day Only - 3 Template Sets! 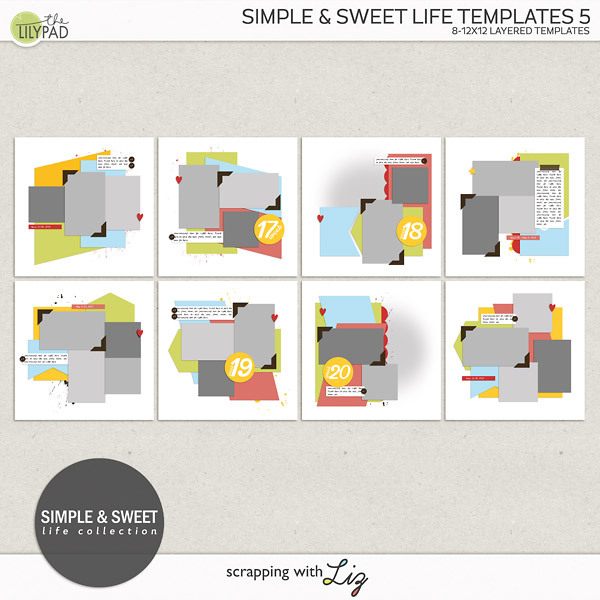 50% Off One Day Only - 3 Template Sets! Today I have three older products in the Something Old Something New sale. Enjoy the 50% discount on these products today only: Wednesday, March 16, 2016. 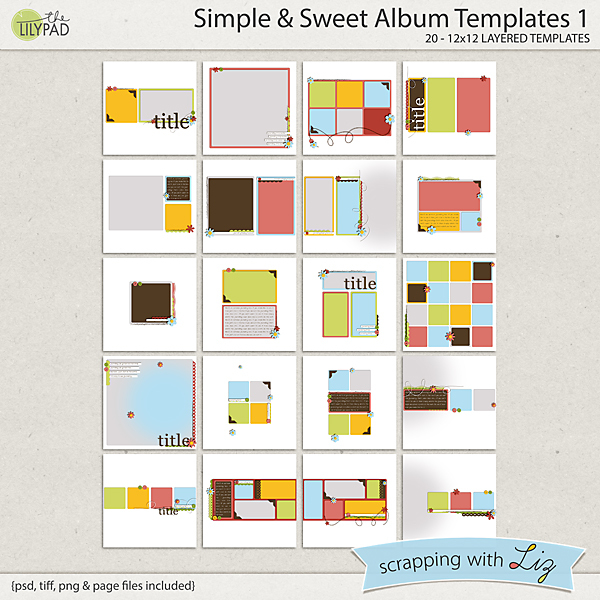 Simple and Sweet Album Templates 1 is an old favorite. They work as a coordinated album, or as a stash of go-do designs that you will return to many times. With the 50% discount, you are getting these designs at 50 cents per template! 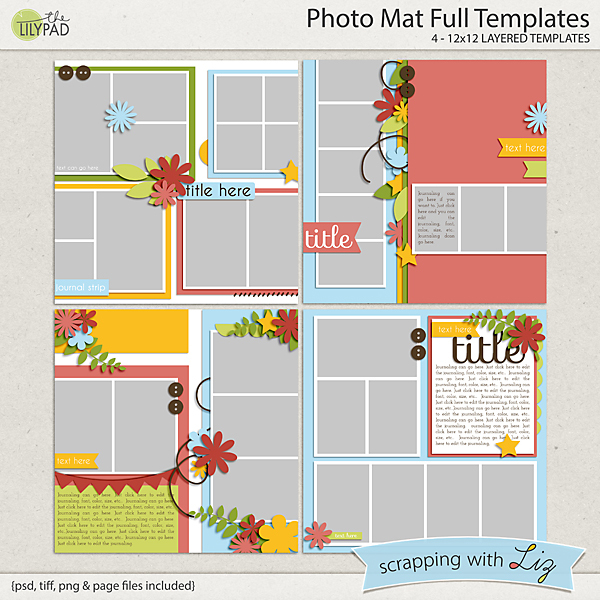 Photo Mat Full Templates is another old favorite. These actually evolved from a set of simple photo templates (the gray photo spots with white matting behind them). I made scrapbook pages with the photo mats, and then turned my pages into new templates. 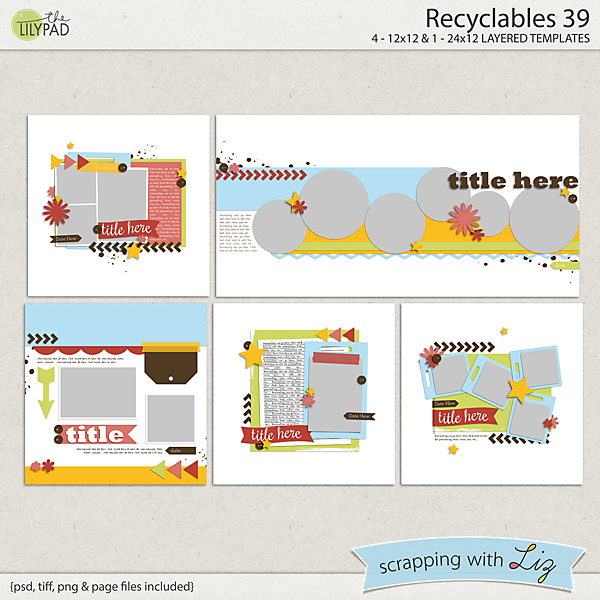 Finally, Recyclables 39 is a set of past freebies and challenge prizes. This is a fun and playful set. 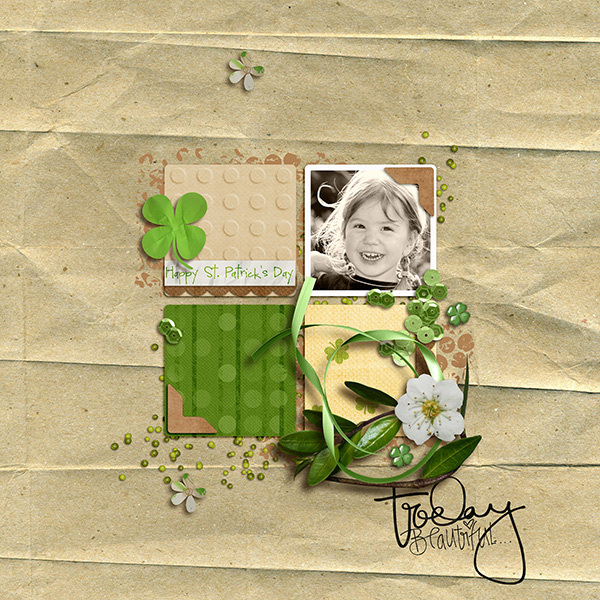 Here is Wendy's page with Simple & Sweet Album Templates 1. 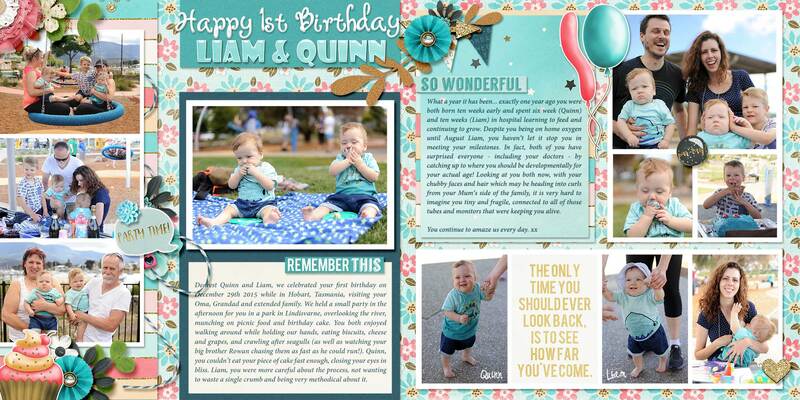 Rebecca used the Photo Mat Full Templates to make a double birthday page. 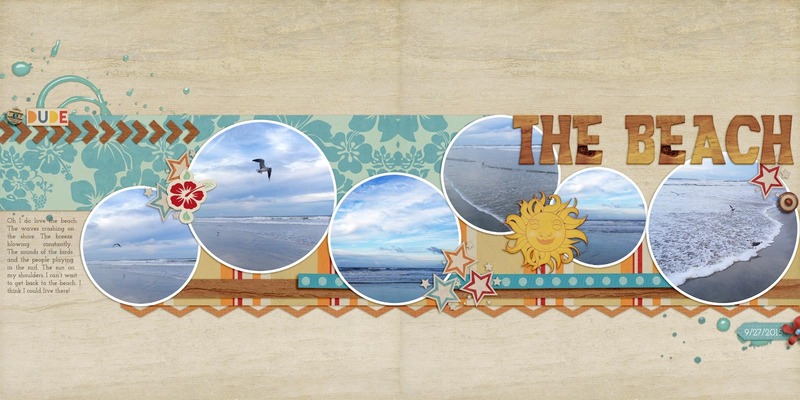 Amanda scrapped with the double page template in Recyclables 39 for her beach photos. This gorgeous page was scrapped by a Polly Sucali over at TLP. I don't have a sneak peek for you this all. No new releases, but I hope you'll enjoy these 50% off templates! 2015 Printed Pages and Album!